In 1967, I volunteered for a government sponsored all expenses paid vacation in beautiful South Viet Nam. I arrived in country at Cam Rahn Bay and was sent to Di An. I spent most of my time in Viet Nam in Di An. I was assigned to the 595th Signal Company, 36th Signal Battalion, 2nd Signal Group, 1st Signal Brigade. 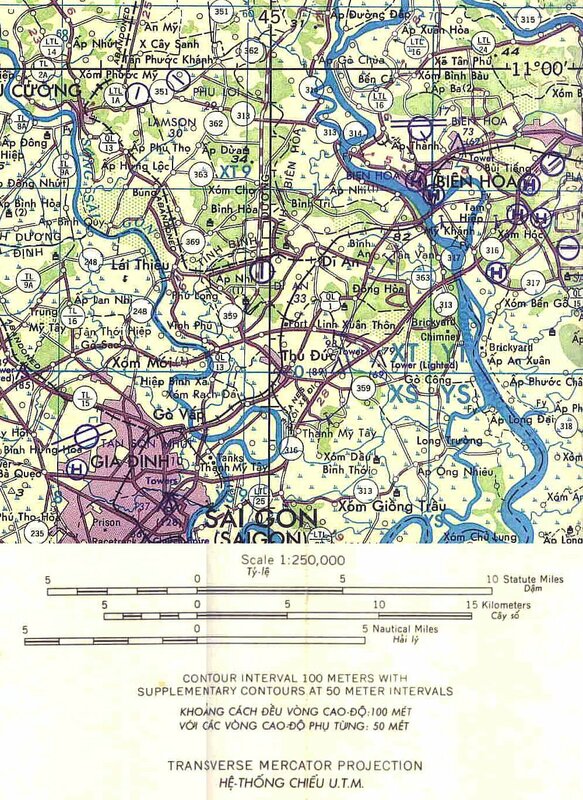 The 595th provided communications support to Headquarters Battalion, 1st Infantry Division and others at Di An, and Special Forces groups in Lai Thieu and Thu Duc. Most of these pictures are of Di An and the surrounding area. Almost all of these pictures are scans of slides, some of which were very dirty after more than 40 years. Each slide had a month, year and number and they are arranged in that order with each month on a separate page. I have provided some descriptions but after all these years, the memory has faded and I may have some incorrect information. If you spot an error, please email me so I can correct it. Updated 12/15/2007 I have added current views of different locations. If you hold your cursor over a picture, if there is a current view, the picture will change to the current view. Double click on the picture and see the old and new side by side. The Di An USO is an example. Updated 1/19/2008 I have added new links on the bottom of several of the pages. These links take you to youtube.com where I have uploaded several videos. Updated 2/23/2008 With the US in the middle of the Iraq and Afghanistan wars, I felt a need to show my sentiments about the wars. Updated 5/9/2008 Added an interactive map of the Di An Basecamp from Google Maps. Updated 7/14/2008 Added two new pages, one with miscellaneous stuff and one with links to pictures from other veterans who served with the 595th or in the Di An area. Updated 3/1/2010 Moved entire website to my own server since AT&T Worldnet ceased to provide service. Any questions or comments, feel free to email me. Map of Di An and surrounding area. South East-West roads that passed through the basecamp. Please direct questions/comments on this page to Webmaster.